WOW – WE HAVE GROWN. After an extensive refurbishment we have managed to almost double our quantities and lines of stock items for our customers. If you haven’t been in for a while please come and take a look. We are sure you will be pleased with what you see. If you are a total beginner or an ambitious baker, high quality ingredients and tools are always a necessity for producing the tastiest treats for everybody to enjoy. That’s why Those Finishing Touches supply only the best supplies to kick start your cakes and satisfy your taste buds, along with lots of friendly advice – especially for the beginners. 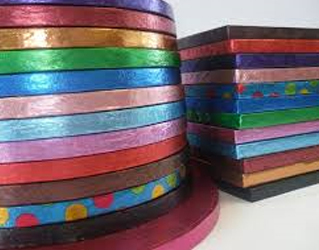 CAKE TIN HIRE is also available for all shapes and sizes at only £3 for 3 days! Please note, a cash bond of £20 is required for tin hire, and will be refunded on the return of the undamaged tin. BUY IN BULK and get a 20% discount: e.g. a pack of 5 quality 12" round drums - just £6.40 (normally £8) Please phone to shop in advance to order these bulk items. If you want to surprise somebody special, we also offer a number of GIFT VOUCHERS for supplies and workshops.